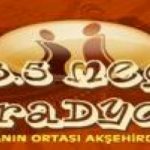 Akmega Radyo live broadcasting from Turkey. Akmega Radyo provides twenty four hour (24h) mix of several genres and styles of music. The station plays Top 40/Pop music you love while striving to keep up with the desires of its listeners. It is one of the most famous online radio station on Turkey.